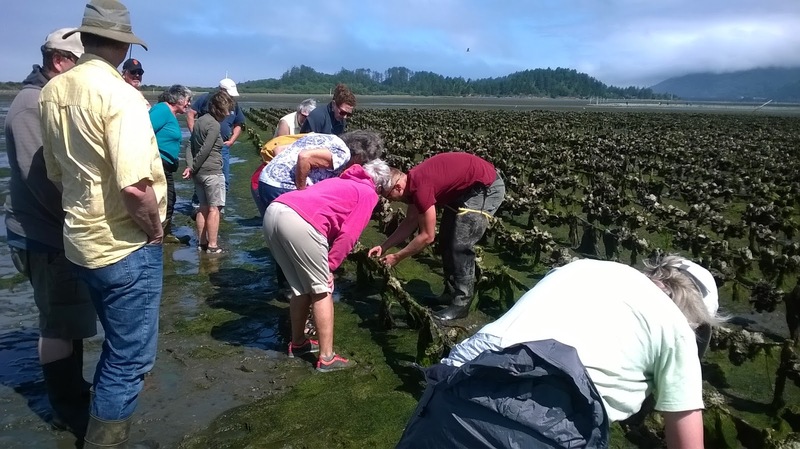 In a July 14, 2009 story, the Tillamook Headlight Herald interviewed Jesse Hayes, grandson of the man with the same name who began the first oyster farming operation in Tillamook Bay in 1928. It turns out that Hayes Oyster Company has played an important part in the history of Bayocean. Erosion had been noticeable on the shores of Bayocean Spit since the later half of the 1920s; and the ocean had breached the spit on multiple occasions since 1939; but nothing compared to the breach of November 13, 1952. This one spanned 3/4 of a mile and made the spit an island. It was the final blow to a town that had been in decline for years. 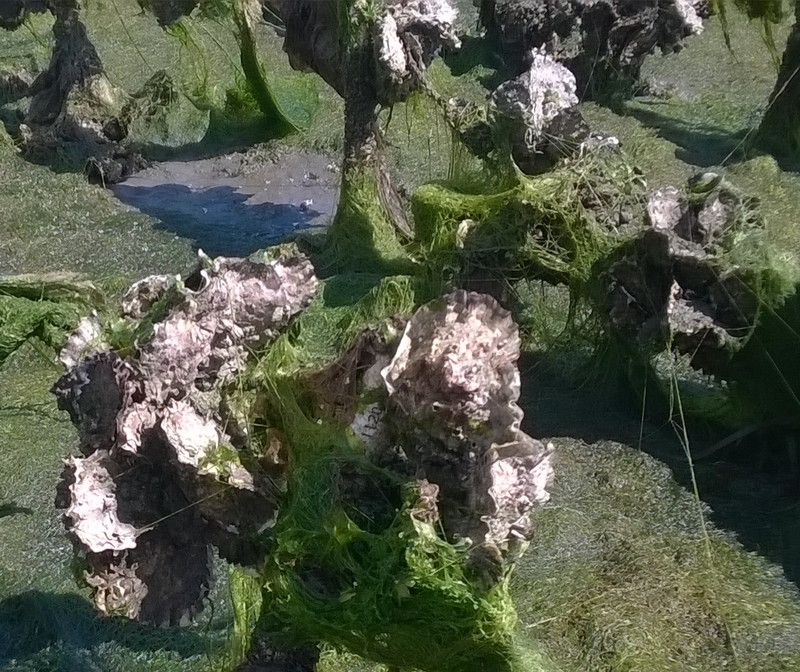 And the sand scoured from the spit buried the oyster beds of Howard Harris and G.H. Folland (Tillamook Bay Oyster Company) and Earl Olsen, according to a story in the December 4, 1942 Headlight Herald. 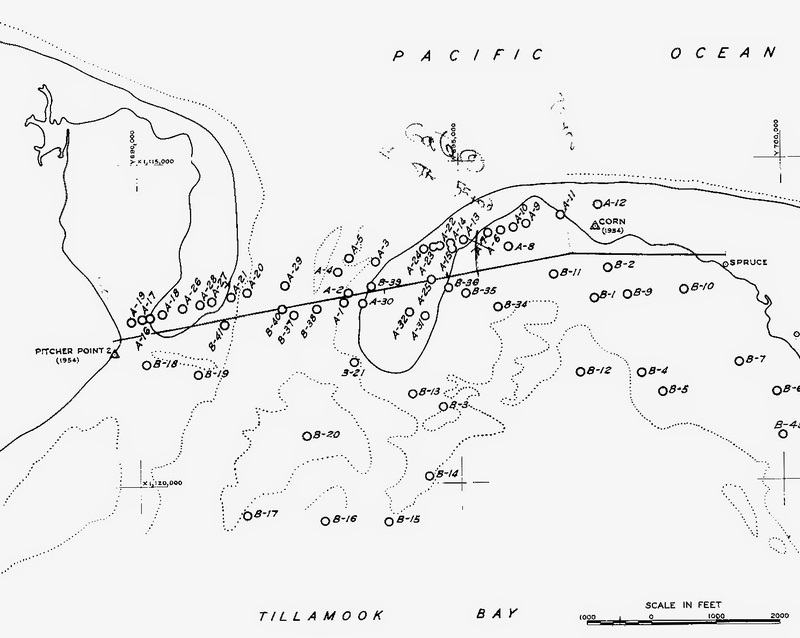 The Army Corps of Engineers finally agreed to close the gap and did so in 1956, by building a dike that started at Pitcher Point, crossed the lobes, and connected to the base of the northern hill section of Bayocean. A gate stands now at the north end, which had been the corner of 15th Avenue and Bay Drive. The Corps destroyed the remnants of Bayocean and filled the area north of the north lobe, between the dike and what little beach remained, with sand. Over the years, a southern section of the spit was reestablished by ocean sand deposits, reconnecting it to the mainland, but the new shoreline had moved east (see Bayocean Then and Now). The land that juts out into Tillamook Bay from the modern parking lot is the tip of what had been the northern lobe. A much smaller portion of the tip of the south lobe still remains as well. The water inside the unclosed circle formed by the southern lobe eventually became Cape Meares Lake. In the 2009 Headlight-Herald Interview, Jesse Hayes said that his grandfather contributed his buried oyster beds for construction of the dike; and that he traveled to Washington, D.C. to help Senator Wayne Morse lobby secure $11 million from Congress to pay for it. 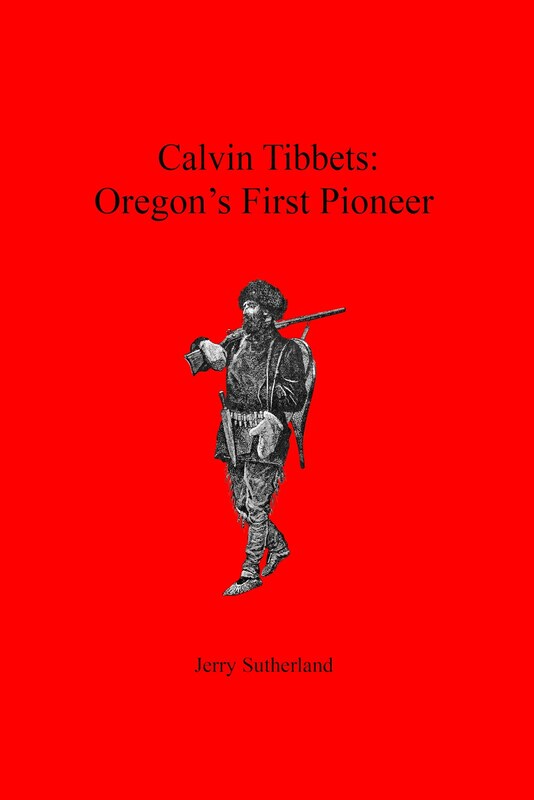 In 2011, OPB's Oregon Experience interviewed grandson Jesse in "The Oystermen". 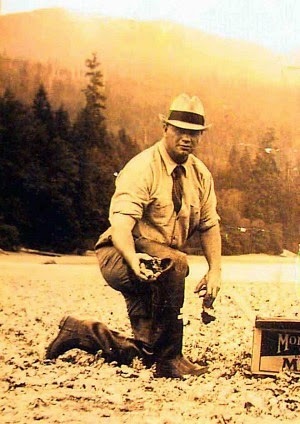 The program credits grandfather Jesse with securing an Oregon law that enabled oystermen to lease tidelands for their operations. Jesse must have been quite a lobbyist (the photo is from the Tillamook Headlight-Herald article). Stakes in Tillamook Bay, show the boundaries of modern oyster beds. You can visit them in person, and learn about the entire oyster industry, on guided tours facilitated by Tillamook Eco Adventures. 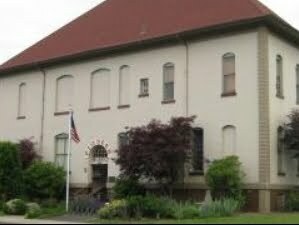 Keep an eye out for occasional announcements in the Tillamook Headlight Herald and Tillamook County Pioneer. The tour I joined last Sunday was very interesting.